I have a distinct appreciation for make-up, eye make-up to be exact. I can get drawn in by the flawless application of color and lashes. I look closely at the details. I focus on the closeups to see how the color was applied, where the shadows are, and how the lashes blend into the eyeliner. 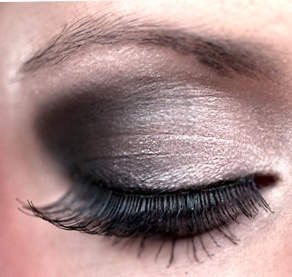 What has all this talk about eye make-up got to do with writing? Nothing, on the surface; but if you think about it, it’s the same as writing a great story. You draw your readers in with the flawless application of plot and characters. Your readers will fall into the perfection of the scenes. As a writer, I read other authors closely. I scour the details, focus on the events, how the action is applied, and how the subplots blend into the main theme. The meat of the story is in the details. It’s how I learn to write better. It’s how I understand the structure. The finishing touches, the satisfaction of the ending, reminds me of perfectly placed eyelashes. This entry was posted in Characters, Fiction, Plot, Story, Writing Life and tagged craft, creative flow, fiction, novel, practice, Writing Life. Writing, books, flash fiction & life from a bookworm/writer nerd.